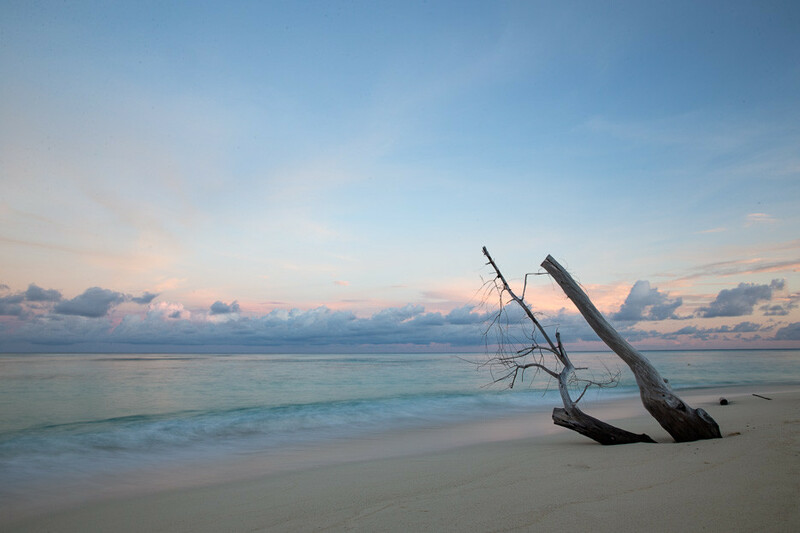 Denis Island is situated some 60 kilometres North of Mahé, the main island of the Seychelles. 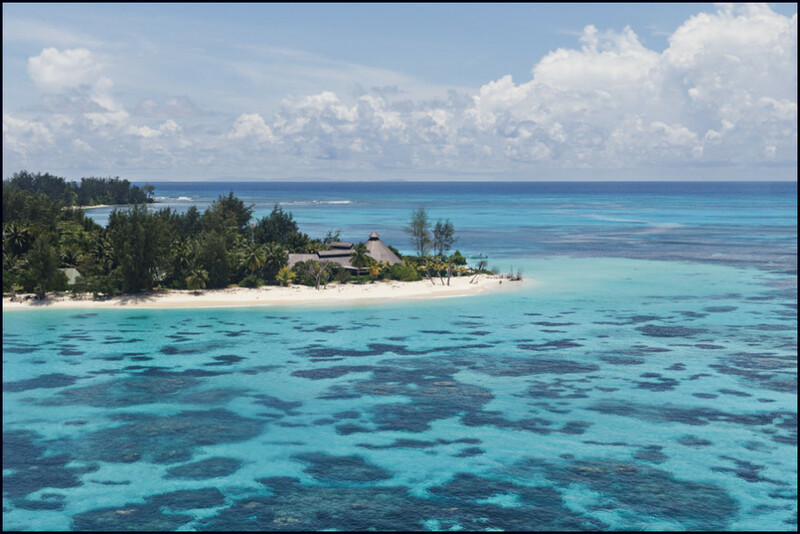 It is the second northernmost island in the Seychelles and being a small private island has just one resort/hotel. Accordingly it is quiet with only a limited number of guests. Whilst we were staying there, the number varied between 12 and 16 guests. 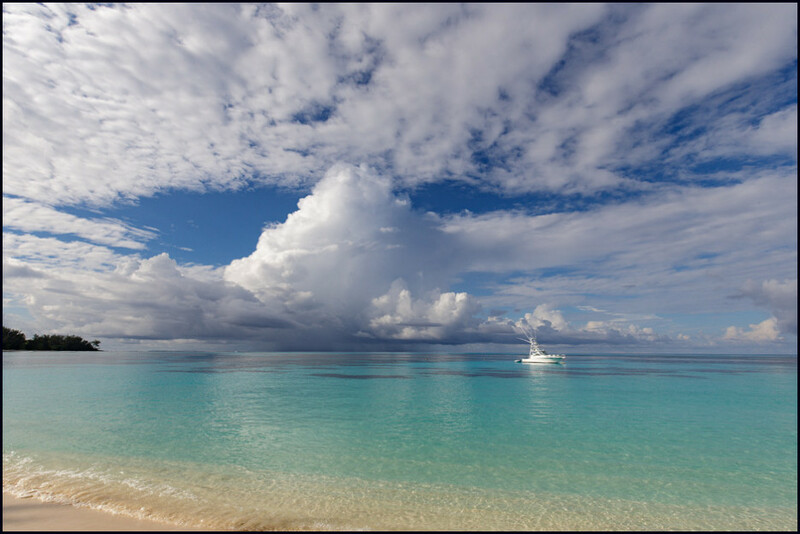 The island is absolutely idyllic with a strong emphasis on conservation and restoring the natural habitat to its original state. Whilst the snorkelling was very good, I was intrigued by the birdlife, beach and natural habitat. There were excellent walks through the plantations and forested areas. White Terns (Gygis alba) nesting. The one bird was sitting on an egg on a branch (quite precariously). They are very white with a distinctive blue bill. The bird life on the island was very different from our usual species encountered in South Africa and close neighbours. 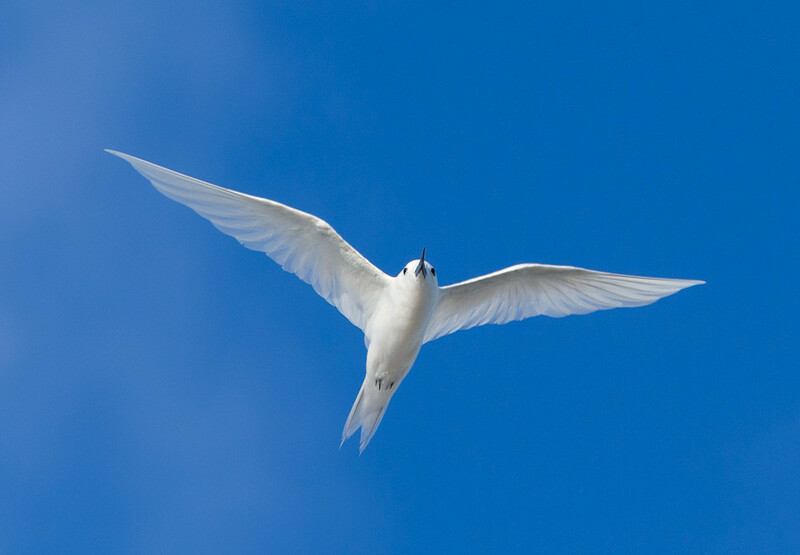 The most common of the various species is the White Terns. They are either on the wing or quietly perched in pairs. 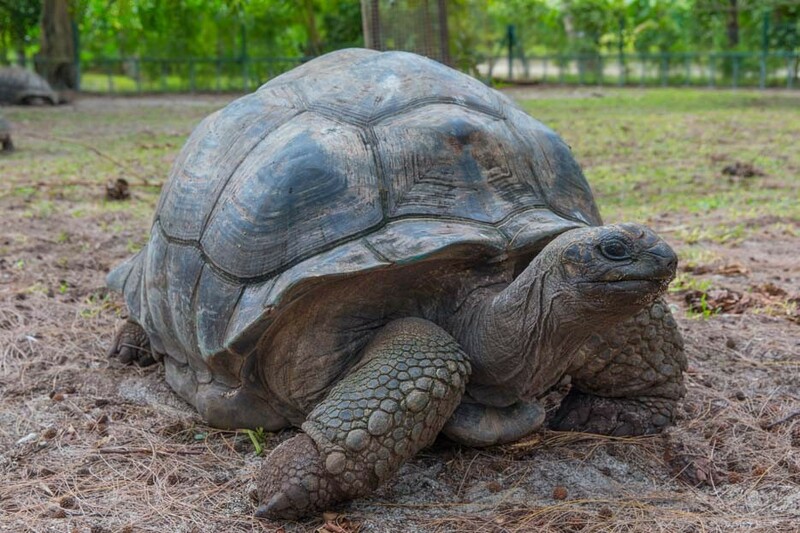 Many of them were hatching eggs at the time. The White Terns and Brown Noddies provided opportunities for some interesting flight photography. The Terns were particularly aerobatic but exposure was challenging, especially when there was some cloud. 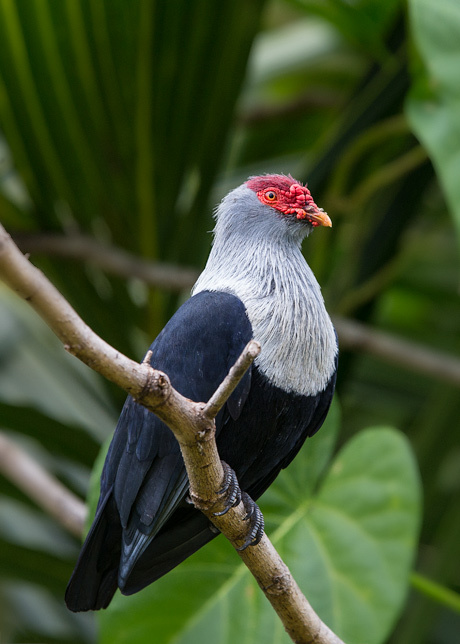 The island also had some unusual land based birds like the Seychelles Blue Pigeon and the rare Seychelles Magpie-robin. We did spot some Lesser Frigatebirds in flight and one Whitetailed Tropic bird nesting in the fork of a tree. Around the dining area, the Seychelles Fody were plentiful. We did see all 5 endemic species – Seychelles warbler, Seychelles Fody, Paradise Flycatcher, Seychelles Magpie robin and the Seychelles Blue Pigeon. Fortunately the Indian Myna has been eradicated and this has helped the endemics to re-establish themselves. 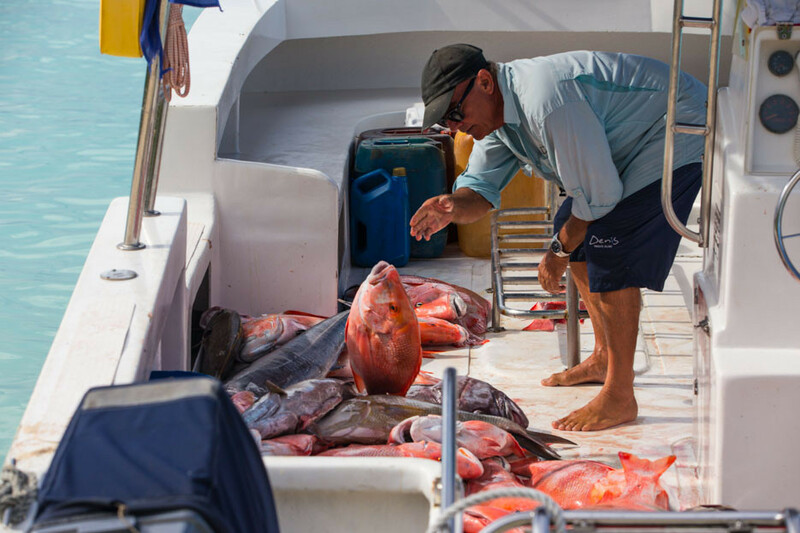 The Green Islands Foundation undertook this very difficult project over a period of four years and by September 2015 (just before our visit) they had been eliminated. 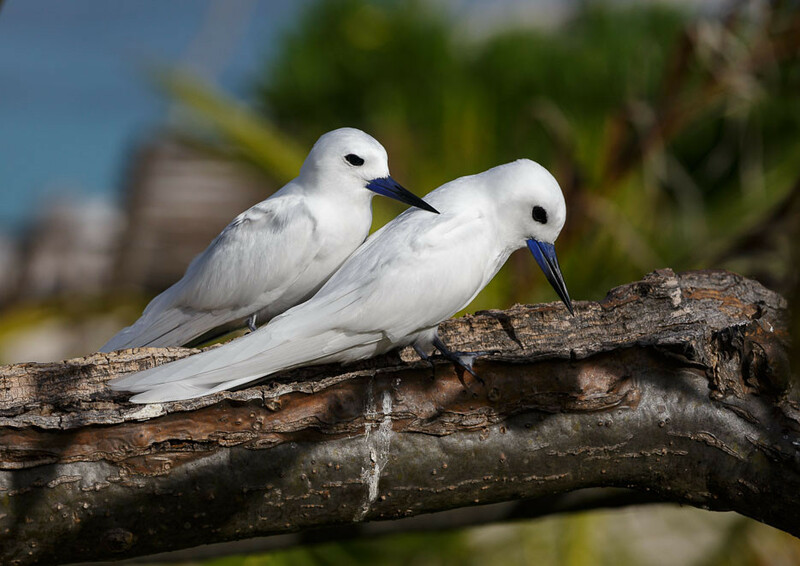 This bird, which was first introduced to the Indian Ocean islands in the 19th century, can be very aggressive to other bird species and is one of only three birds considered to pose a significant impact on the world’s biodiversity by the Union for the Conservation of Nature (ICUN). The initial estimates of the Myna population on Denis Island was thought to be about one thousand. I spent hours watching the White Terns and Brown Noddies flying. The Noddies were very busy gathering seaweed off the surface of the ocean for nesting material. 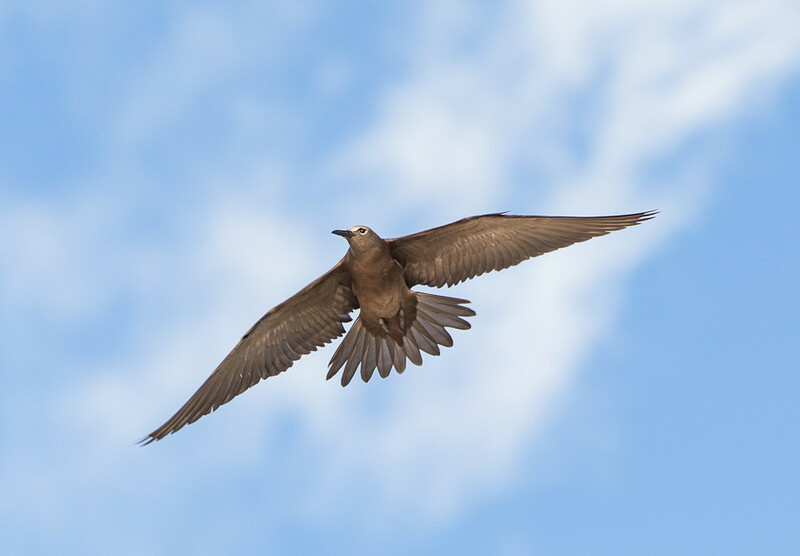 Brown Noddy (Anous stolid) in flight. On the beach the crabs ruled. Very common were the Horned Ghost crabs. 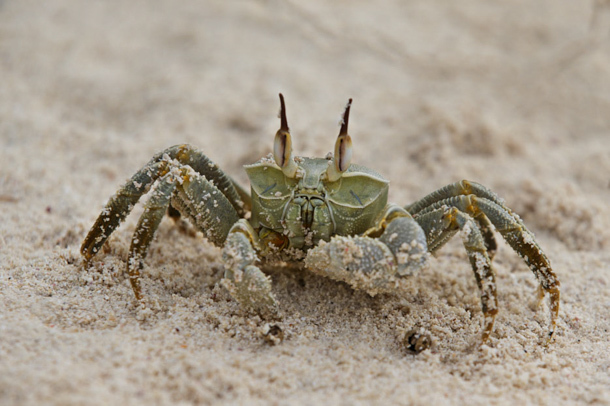 Ghost crabs also have the ability to change colors to match their surroundings by adjusting the concentration and dispersal of pigments within their chromatophores. They can even match the specific colors of the grains of sand in their habitats and are sometimes difficult to spot. They were most prevalent early in the morning before sunrise. Top Image: Horned Ghost Crab. The Hermit Crab was most intriguing as it lives in a “borrowed” shell, which seems to fit perfectly. As the hermit crab grows in size, it must find a larger shell and abandon the previous one. This habit of living in a second-hand shell gives rise to the popular name “hermit crab”, by analogy to a hermit who lives alone. Several hermit crab species, both terrestrial and marine, have been observed forming a vacancy chain to exchange shells. When an individual crab finds a new empty shell it will leave its own shell and inspect the vacant shell for size. If the shell is found to be too large, the crab goes back to its own shell and then waits by the vacant shell for anything up to 8 hours. As new crabs arrive they also inspect the shell and, if it is too big, wait with the others, forming a group of up to 20 individuals, holding onto each other in a line from the largest to the smallest crab. As soon as a crab arrives that is the right size for the vacant shell and claims it, leaving its old shell vacant, then all the crabs in the queue swiftly exchange shells in sequence, each one moving up to the next size. 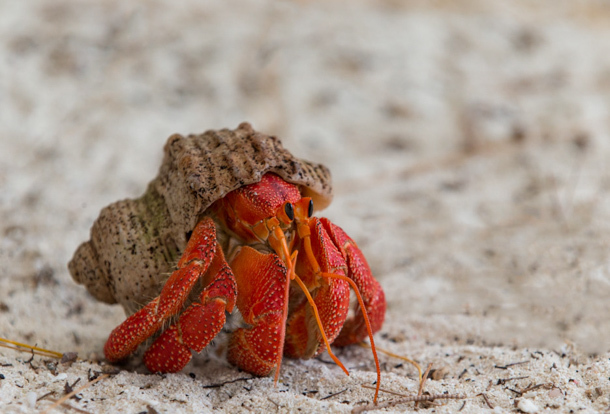 Hermit crabs often “gang up” on one of their species with what they perceive to be a better shell, and pry its shell away from it before competing for it until one takes it over. Fish was plentiful , very varied and tasty. We watched them offload this boat which took more than half an hour to do. Three or four fisherman either carried the fish by the tails as can be seen in the image on the left or there were plastic crates filled with fish. No wonder the meals were so good. 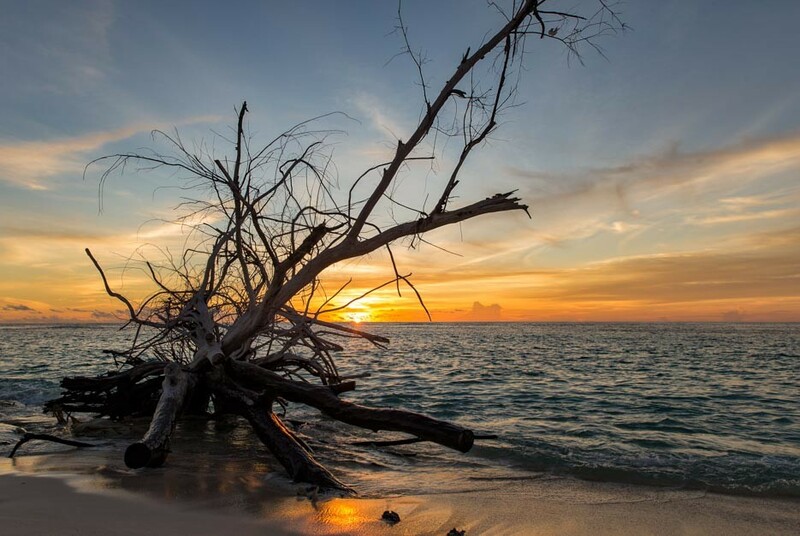 Every morning and evening presented wonderful sunrises and sunsets. The former having beautiful hues of pink and mauve and the latter brilliant and vibrant orange and gold. Amazing place John. Excellent images.